Click on me to connect! Aloha and welcome to my EdTech Resource website! 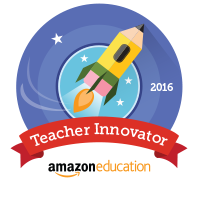 I am a Technology Integration Specialist for the Education Innovation Lab and a MakerEd educator at 'Iolani School. I am also a Google for Education Certified Trainer! From 2009 to 2014 I helped transition a public elementary school in Hawaii to become a Google Apps for Education school, which included providing Google Apps training for teachers and students and taking on the role of Google Apps Super Administrator. Now, I serve as a Technology Integration Specialist and a MakerEd educator at 'Iolani School. I became a Google for Education Certified Trainer in 2014. And I've been providing professional development to public and private schools and at conferences for more than 7 years. I currently serve as the President for HSTE (Hawaii Society for Technology in Education - ISTE affiliate). I received my Liberal Arts Degree from Leeward Community College in Hawaii and my Bachelors Degree in Elementary Education from the University of Hawaii in 2007. I used to co-host a Google+ LIVE Hangout on Air with a few other Hawaii educators called EdTech Mixed Plate. We shared EdTech related resources, tips, tricks, and lesson ideas as well as ways to enhance your PLN (Personal Learning Network). I help coordinate the monthly education Twitter chat, #edchatHI and I am cofounder and committee member for Edcamp Honolulu. I host my own professional learning blog called EdTechnocation where I share my own EdTech tips, tricks, resources, reviews, and opinions.